Time to make a pizza! 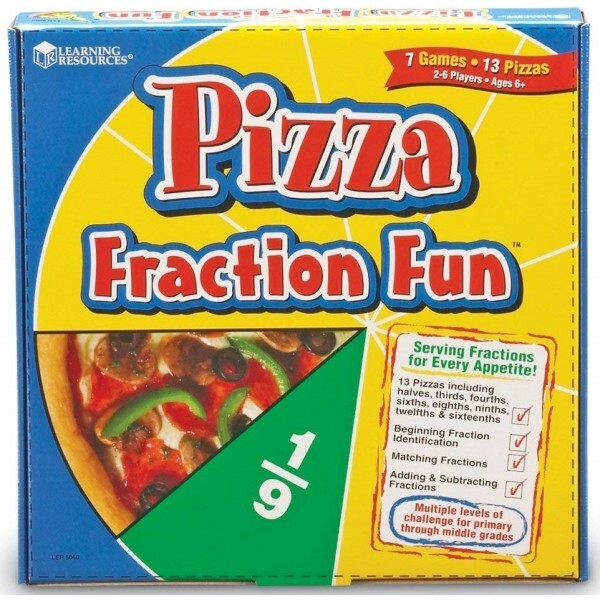 This clever game from Learning Resources teaches fraction concepts and skills using pizza slices to represent fraction denominations. 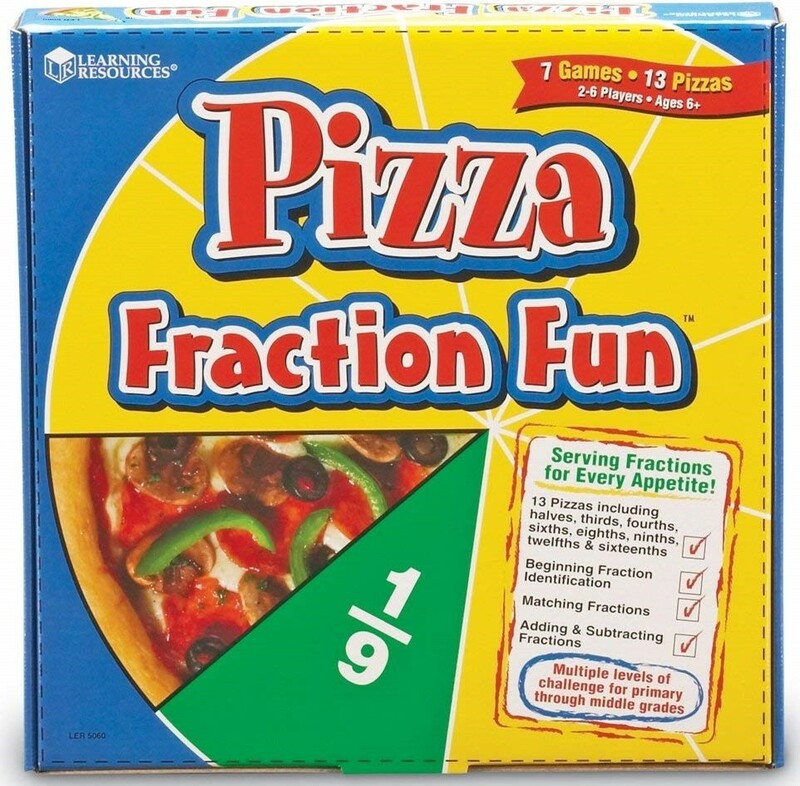 Students play seven different games to practice identifying fractions, matching fraction equivalents, and performing fraction addition and subtraction by building pizzas. 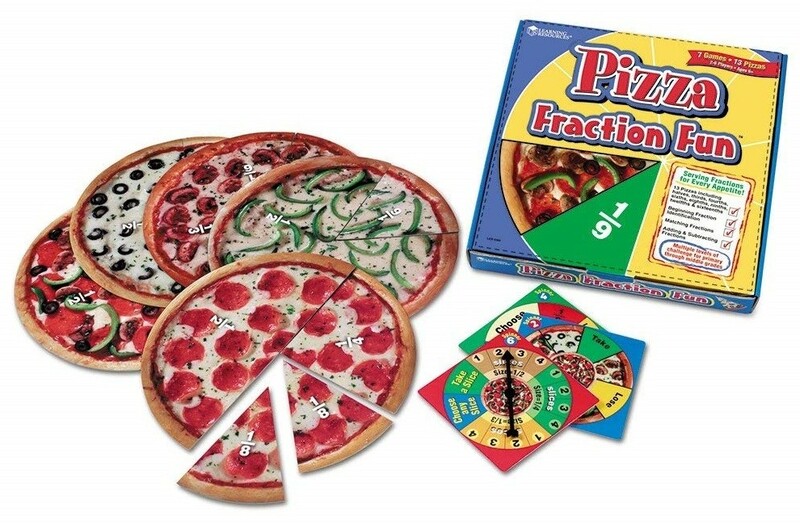 This game for 2 to 6 players includes 13 double-sided pizzas and three double-sided spinners providing different levels of learning.